"Move fast and break things. Unless you are breaking stuff, you are not moving fast enough." So said Mark Zuckerberg, back when Facebook was still growing rapidly and not engulfed in so many public problems. Zuckerberg meant that innovation is messy, and as it turns out, expensive. Are these companies safe from disruption? 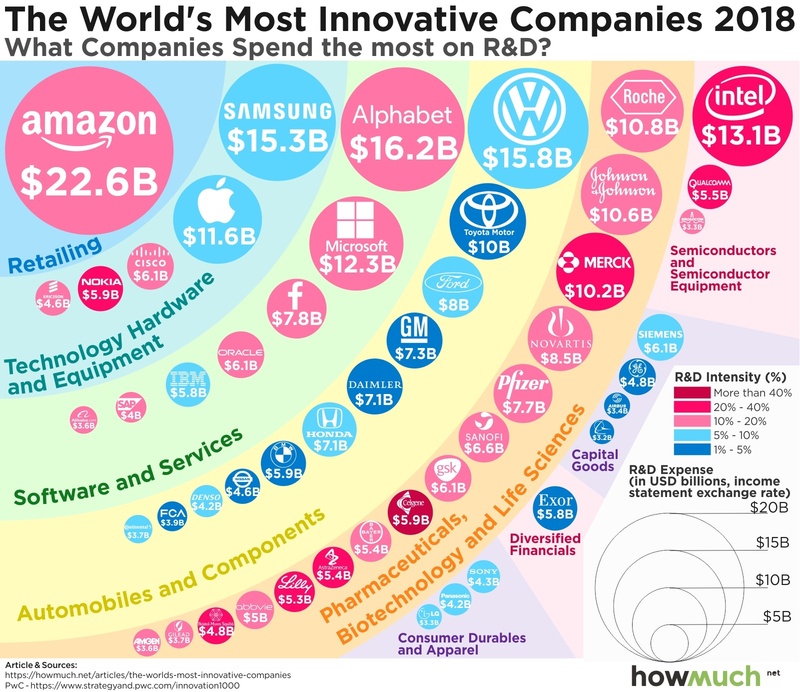 Or should they be spending billions more on R&D? We’d only point out that GE stock is trading below $8 a share. Sears is in a fight for its life. And big companies tend to decline with old age.